Charles R. Green stands on the front steps of the Jones Library shaking hands with another man. Beside him is the chalkboard advertising one of his Sunday at 5:00 programs. 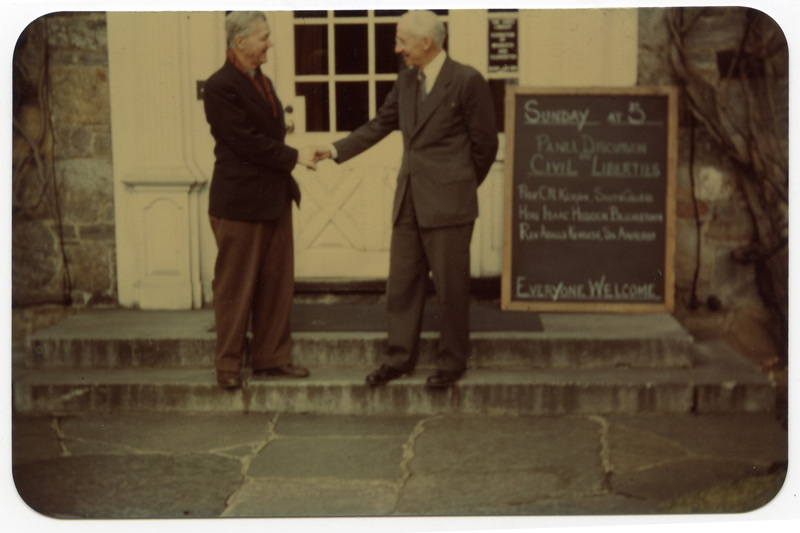 “Charles R. Green and his Sunday programs,” Digital Amherst, accessed April 24, 2019, http://digitalamherst.org/items/show/1923.